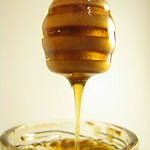 Honey – one of the most versatile and magical substances that Mother Nature has bestowed upon us. It has been used for centuries, as far back as ancient Egypt, both internally and externally, praised for a variety of natural healing and medicinal uses. From folklore to scientific evidence, this sweet and aromatic substance has persevered over the centuries to prove to humanity its endless abilities to better our internal and external selves, both when included in our daily diet and used in any beauty regimen. Sore throat – one teaspoon of honey mixed with lemon is all it takes to coat the esophagus and bring much needed relief and comfort. Lip scrub – mix one teaspoon of honey with one teaspoon of brown sugar to exfoliate those puckers after a long day of wearing various lip products. Smear honey on your face to delay signs of aging, as this magic elixir has a ton of antioxidants that slow down the aging process! Use honey as a facial mask after your evening cleansing to leave your face bright and moisturized. Although honey is made up of 70-80% sugar (monosaccharaides, fructose and glucose), the rest is made up of minerals and water, which hold a ton of medicinal properties that can work in our favor! 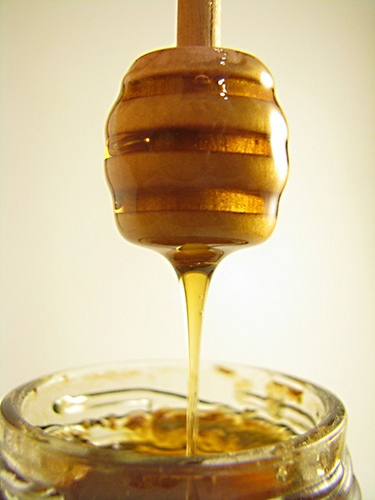 Honey is a natural antiseptic, due to its natural viscosity and the ability to form a barrier on any wound. Try honey on your scrapes, bruise, and burns. It protects and feeds the skin at the same time. Because of its’ low PH levels and high sugar contents, honey is considered an incredible antibacterial agent, quickly able to stop the rapid spread of microbes in an infection situation. Depending on the grade and variation of your honey, these effects may vary. Just imagine, all this in one jar or honey! The uses are endless!